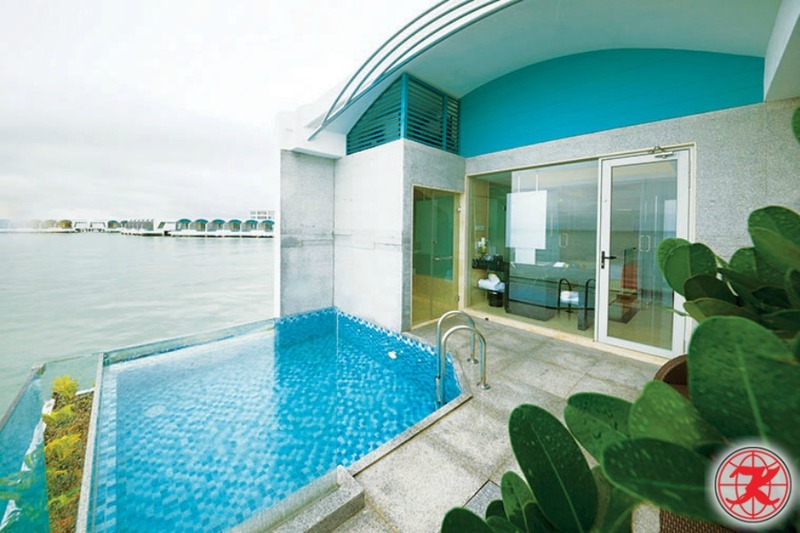 5-star pool villa studded into the waters of Port Dickson, brainchild of the esteemed Lexis Hotel Group, and the only hotel in Pasir Panjang. 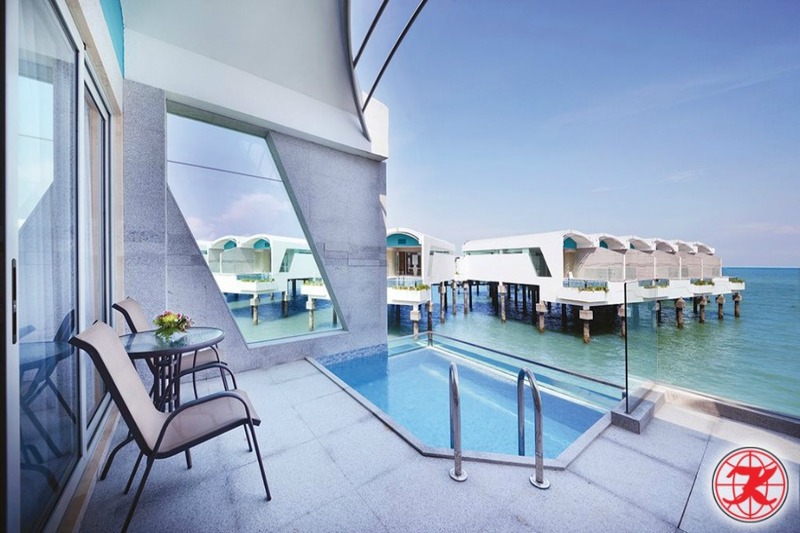 Ponder the infinite ocean from the clear depths of private swimming pools, and take comfort in the fortifying presence of nine restaurants and bars serving a variety of local and international cuisines. Pay a visit to the Army Museum, Wan Loong Chinese Temple, or the Ostrich Farm. 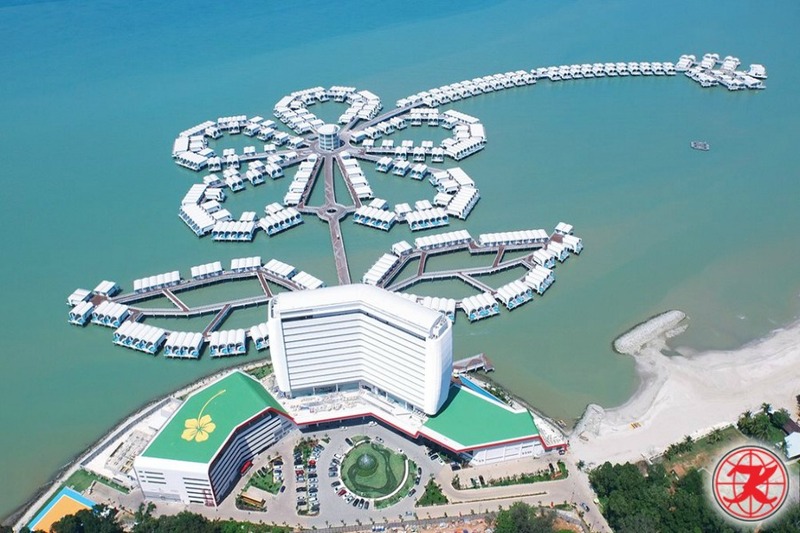 5-star chalets studded into the waters of Port Dickson, brainchild of the esteemed Lexis Hotel Group, and the only hotel in Pasir Panjang. 1 OR 2 night accommodation @ Lexis Hibiscus Port Dickson (refer to the price chart). 02 ways SVIP coach ticket. Glimmering blue swells offer up niveous bones of water chalets that settle into the graceful outline of a blooming hibiscus for a charming tie-up with this five-star Lexis Hotel Group offspring’s name, also echoed in the floral quirks that thread through the premises’ décor. Malaysia’s tallest fountain finds a spot beneath the flower’s style, sporting a gushing 400 feet plume that comes to life at night in iridescent shades, spellbinding diners currently picking their way through a buffet meal at Roselle Coffee House, or letting the Japanese dishes at UMI help hone chopsticks skills. Those lucky enough to be soaking in the private pools of their own chalet might do so after sending boisterous children to the nearby Extreme Park, while considering post-swim visits to the onsite sauna or a quick bike ride through the hotel’s cobblestone roads. All times in GMT +8. Schedule for reference only, subject to changes and availability. Price above based on per person basic. Price change with or without prior notice.